A Catholic school has banned a girl from appearing in her yearbook, after she wore a tuxedo instead of a dress to prom. 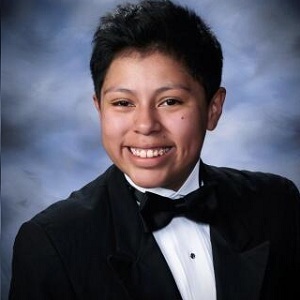 Jessica Urbina, who is a senior at Sacred Heart Cathedral Prepatory School in San Francisco, has been banned from having her photo in the school’s yearbook after she turned up in a tuxedo. According to CNN, regulations of the San Francisco Archdiocese mandate that female students wear dresses for their photo, and the 18-year-old’s was pulled as a result. Urbina’s classmates have started wearing bowties to school in protest, and have started the #JessicasTux hashtag on Twitter. The girl and her family reportedly met with the school’s administrators on Friday to discuss the issue. Following the meeting, the school posted a statement which reads: “Our students have risen in support of each other and the principles central to our community. We are proud of their leadership and thoughtful effort to affect change. “As we prepare to pass out yearbooks it is always regretful when a student portrait is omitted for any reason. “The resulting meaningful discourse and reflection on the practices and policies of the school are at the heart of our mission as an inclusive, Catholic community of faith. Last month, a North Carolina student was asked to leave her prom after she turned up wearing trousers. Austrian drag queen Conchita Wurst WINS Eurovision!